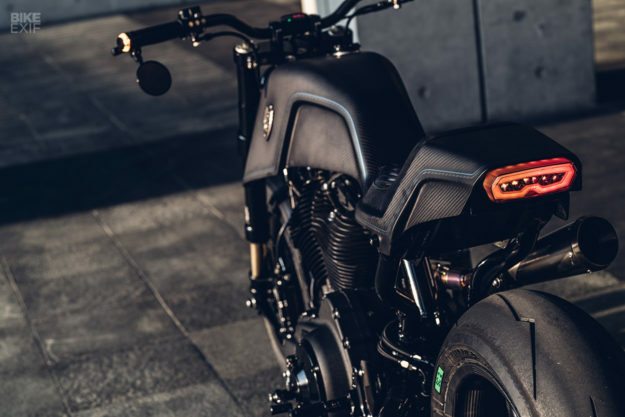 When it comes to high-end Sportster customs, the weapon of choice for most builders is the Forty-Eight. 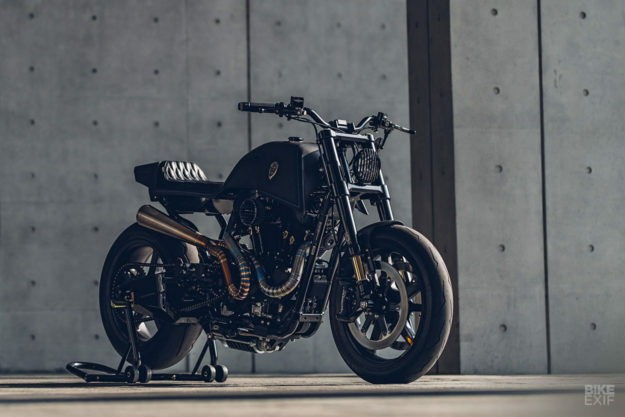 Winston Yeh of Rough Crafts knows the model well: his Bomb Runner from six years ago is still a stunning example of the genre, and he’s built several more since. 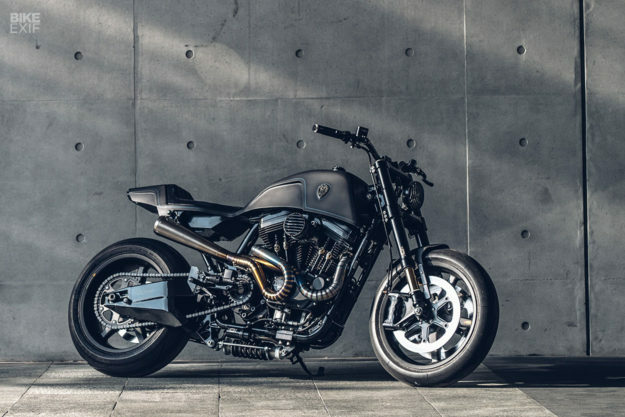 This new Forty-Eight is one of the sportiest Harley rebuilds we’ve seen, with the stance (and geometry) of a sportbike, and a weight drop of 40 kilos—almost 90 pounds). The brief for ‘Raging Dagger’ came from a most unusual direction. 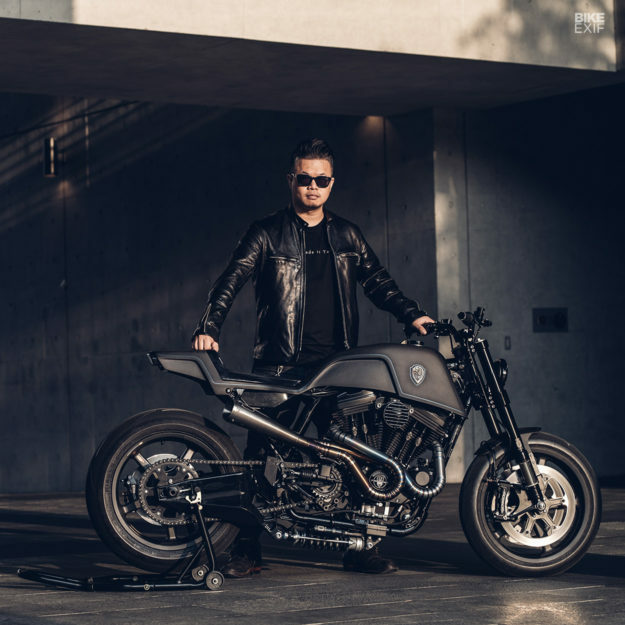 Winston got a call from a sales person at Harley Taiwan, who said he had a customer who wanted to meet up. 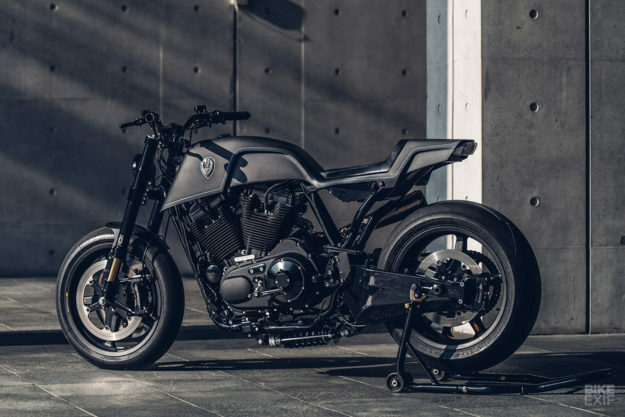 On the spot, Winston decided to build a street fighter with the best performance and ‘rideability’ possible. It would also stay true to the hugely popular Rough Crafts style, without serious modifications to the frame or engine. 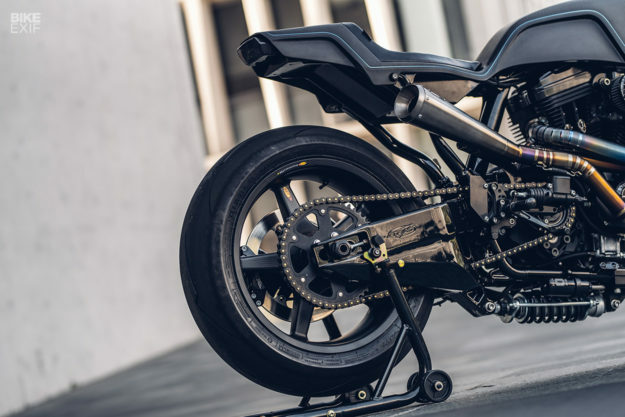 With the frame jacked to the height he wanted, Winston arrived at the hard part: connecting the lightweight Trac Dynamic swingarm to the shock. 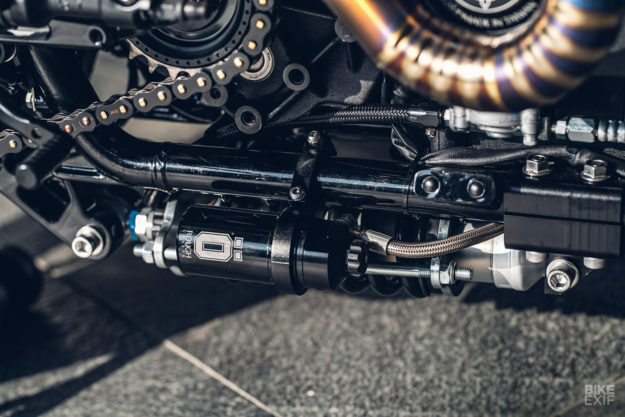 And then provisioning for an oil tank on the swingarm. “I asked Trac Dynamic not to weld the normal lower mounts for two shocks. 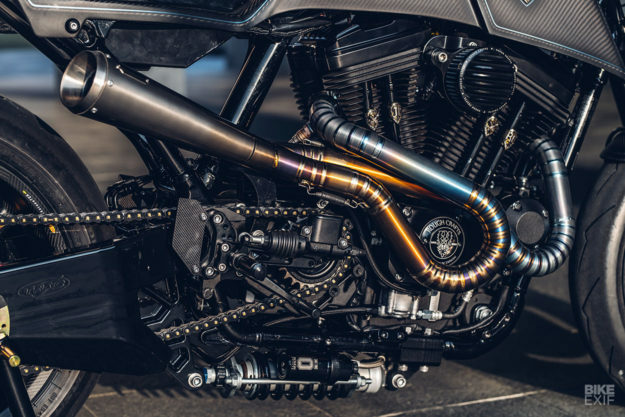 Then we carefully measured, 3D designed, laser cut, and welded on an oil tank.” With the battery relocated too, this opens up the space under the seat on the Forty-Eight—giving it a much lighter visual vibe. BST carbon fiber wheels add even more style, and shave weight like no other rims. 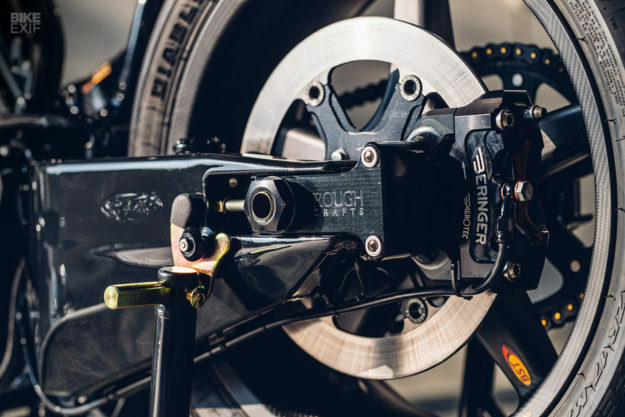 For the front brake discs, Winston went with Beringer 330mm outers and floaters, and made his own six-spoke carrier, to match the straight spokes of the BST wheels. 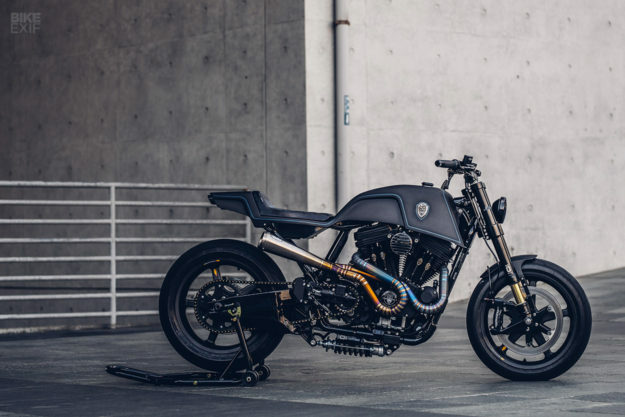 This Forty-Eight feels much livelier than a standard bike, because the rake has gone down from the stock 30 degrees to around 24 degrees—a figure you’re more likely to find on a sportbike. Winston did this without any frame cutting or welding (although he did cut off the stock fender struts.) 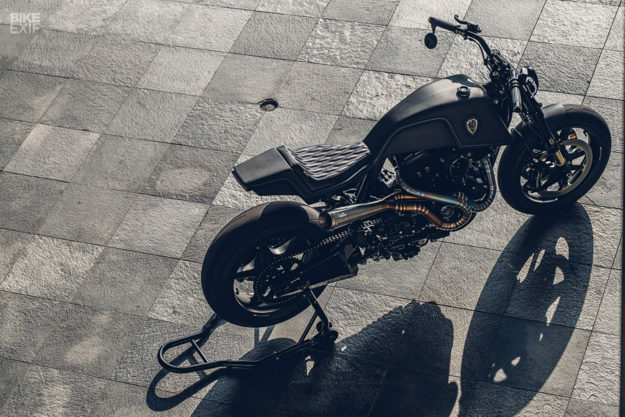 It’s simply because the back of the bike now sits higher. 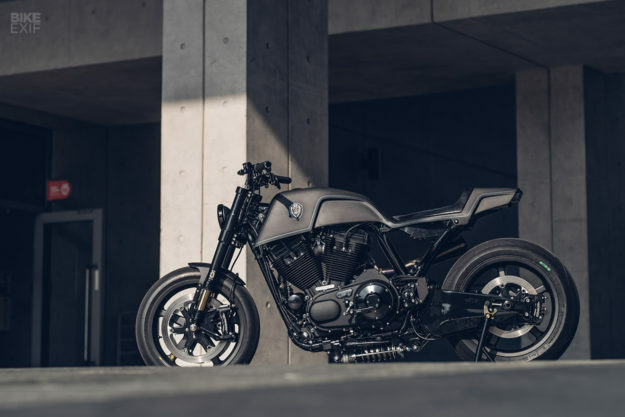 With the Sportster’s new stance sorted, Winston started work on the design. 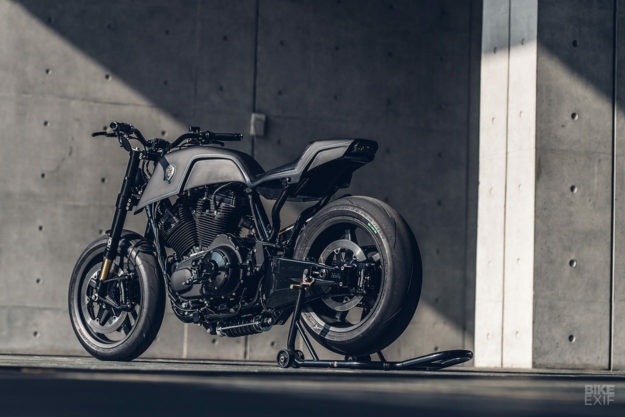 Regular collaborator MS Pro helped him to fabricate monocoque bodywork out of aluminum, which was then molded into carbon fiber—with an aluminum fuel cell underneath. 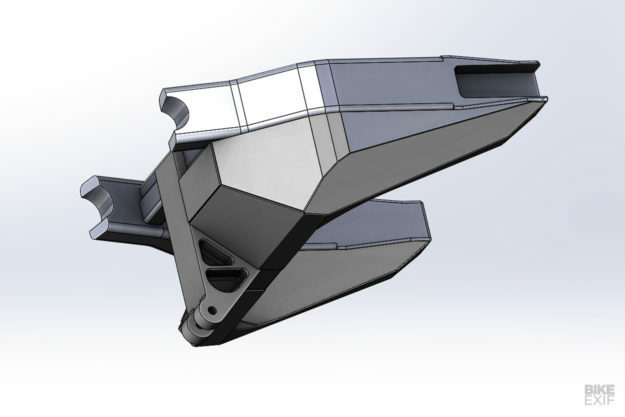 To eliminate the chubby side panels, Winston designed a one-piece bracket split into two sections. The artisans at Air Runner Custom Paint have long been a key part of the Rough Crafts look, and they’ve done an incredible job again. The tank badges and pushrod collars are from 2 Abnormal Sides, and CT Garage helped with the final assembly. 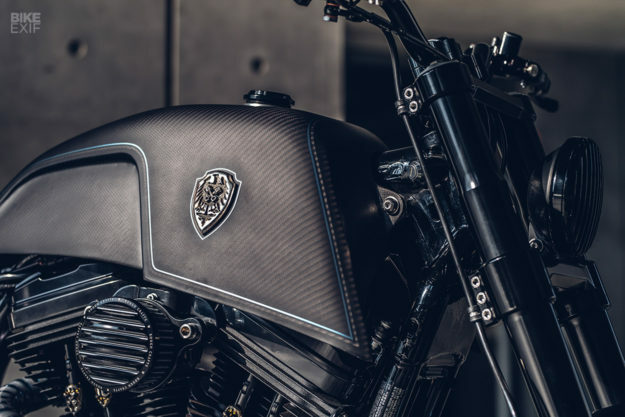 The Forty-Eight has been a big seller for Harley, and it’s not hard to see why: it’s one of the best-looking Sportster variants of all time. 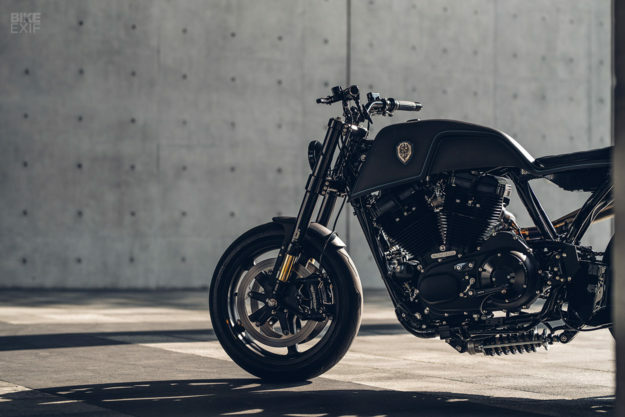 But this version should appeal to fans of American V-twins who like to emphasize the ‘sport’ in Sportster. Especially since Winston’s planning to take the bike to the track to get an even better feel for it soon. We suspect Erik B would approve.